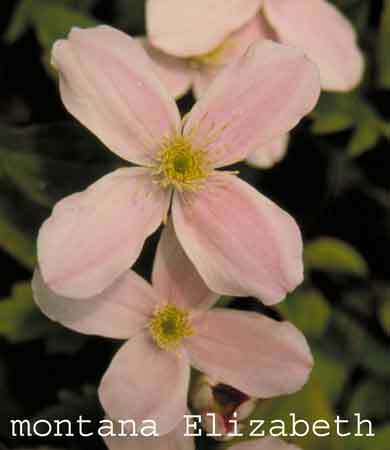 Masses of pale clear pink 2-3" (5-8cm)vanilla scented blooms in May and June. Mature height 25-35' (7-10m) (all Montana's will have severe frost damage when minimum temperatures fall below 0¡ to -10F (-12 to -18C). The plants will probably survive, however ,the tops will be burnt off and the plants will not bloom.) Pruning group A.